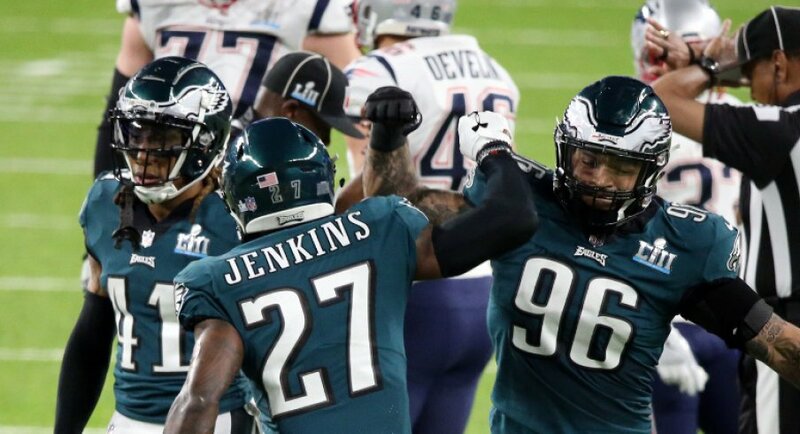 A few days have passed since President Donald Trump uninvited the Super Bowl champion Philadelphia Eagles from the White House, but it's still being talked about. Trump pulled the Eagles' invite due to their differentiating stances on the National Anthem debate and lack of players who wanted to attend. In a new way of protesting, Eagles safety Malcolm Jenkins, at a media scrum, held signs with strong messages on them instead of speaking. One of those signs mentions Devin McCourty, Duron Harmon, Matthew Slater and Johnson Bademosi, who lobbied for congress to raise the age at which people can enter the criminal justice system. Among others mentioned were Chris Long, Colin Kaepernick, Anquan Boldin, Richard Sherman and many more.